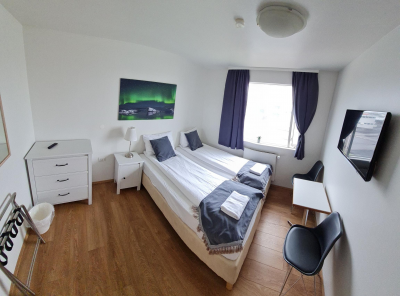 Höfn Guesthouse is located in the center of town in two buildings side by side, on the first floor above the Post office and on the ground floor in the White house. 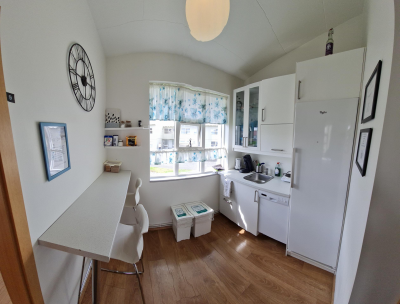 There is a common dining area on the first floor, in both houses there is a shared kitchenette (without stove and oven) for self catering of breakfast. The guestrooms share bathrooms. There is free parking and free high speed WiFi. 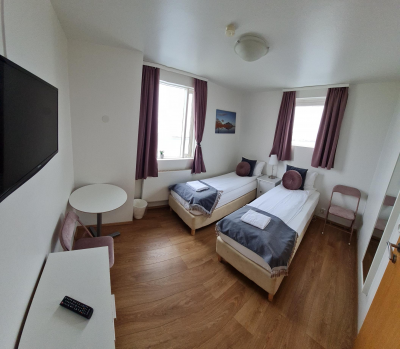 A double room with double or twin beds. The room is 10-12 sq.meters. 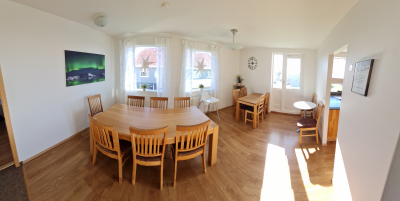 Hardwood/Parquet floors, heating, flat screen TV. Free high speed WiFi. It is possible to add an extra bed for a child. 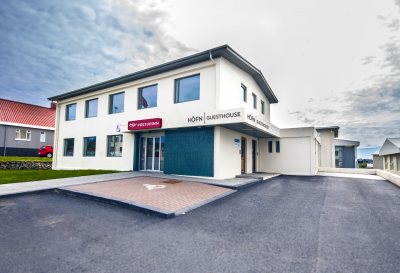 Rooms are located in both buildings, above the Post office where there are 6 guestrooms, two bathrooms, a shared kitchenette and a dining/common area, and in the White house - building next door where there are 6 guestrooms, 2 bathrooms and a shared kitchenette. 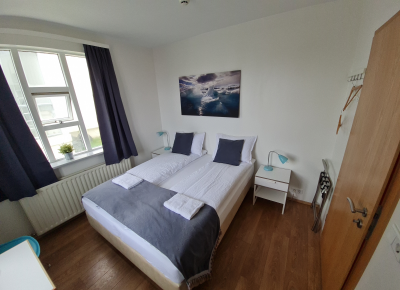 A compact double room with one large double bed (160 cm). The room is 8 sq.meters. Hardwood/Parquet floors, heating, flat screen TV. Free high speed WiFi. There is no room for an extra bed. Located in the White house where there are 6 guestrooms, two bathrooms and a shared kitchenette. The whole unit is on ground floor. 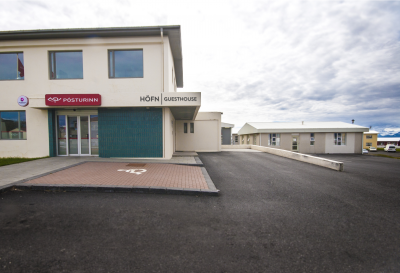 Common area for Höfn Guesthouse is on the first floor in the building next door ( above the Post office).